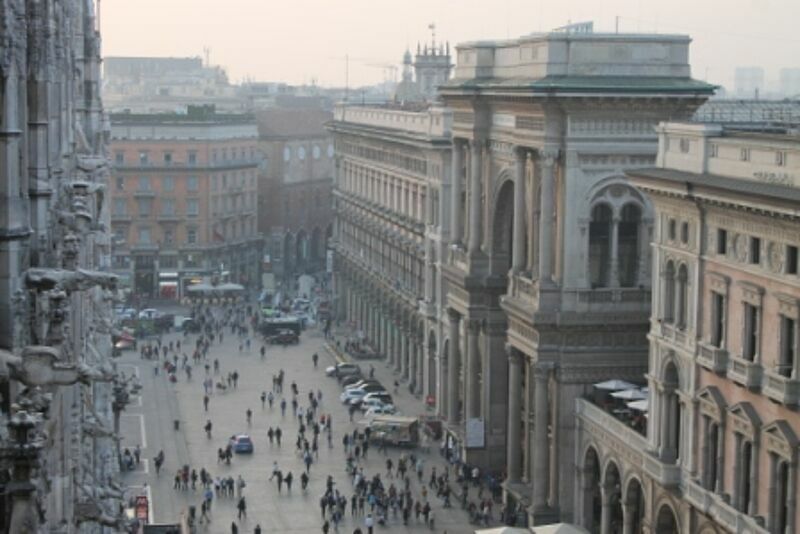 Only a few weeks into the first semester, us ten TDS Master students took off for our first excursion to Milan, accompanied by four LTM Bachelor students and Prof. Dr. Adjouri. After the 1:30 hour flight from Berlin Tegel to Milan Linate we were greeted by a bright blue sky and 18° - a warm welcome! After we had checked into our Hotel, the IDEA Hotel north of the city centre, the whole group decided to go into town for some free time and a nice dinner. Our first appointment on Tuesday took place at the Galleria Campari where we were shown around for two hours and learned about Campari’s history. Afterwards most of the students decided to enjoy the sun during a nice picnic in the Parco Sempione near the Castello. 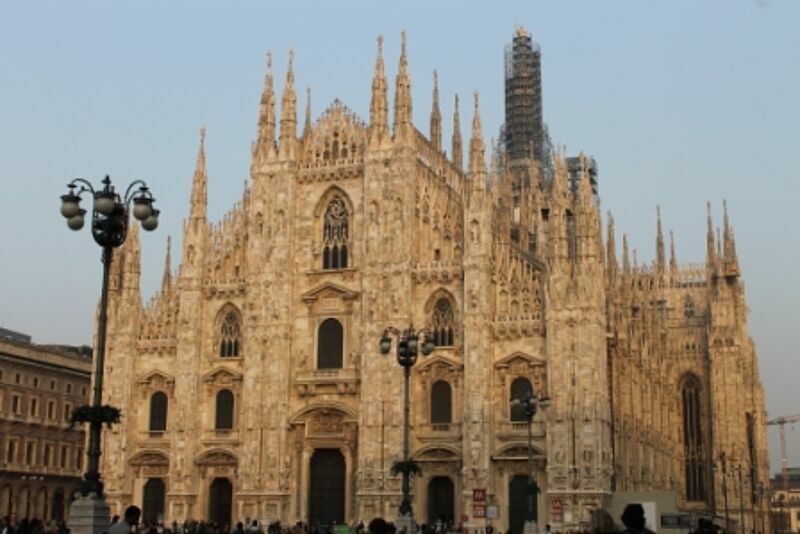 In the afternoon we had an appointment at the Tourism Department of the Comune di Milano. 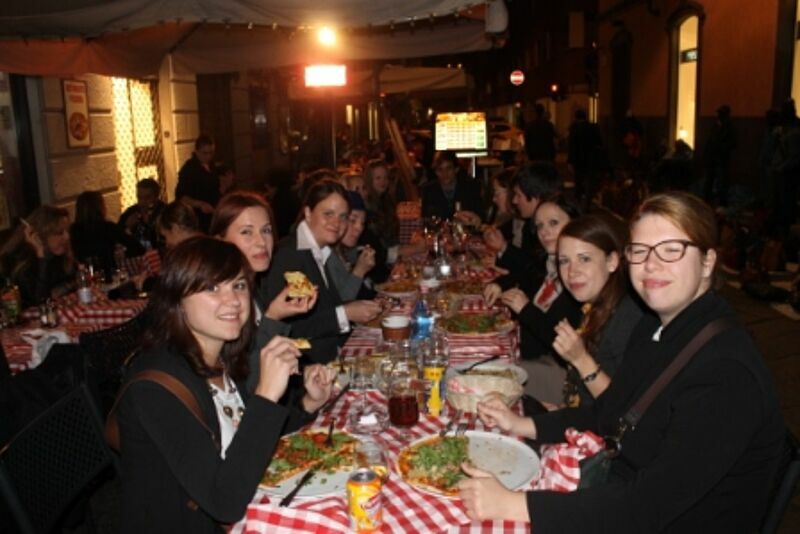 We heard very interesting presentations about the general tourism industry in Milan and about marketing, especially social media marketing methods – a picture of our group was immediately posted on the company’s Facebook profile! 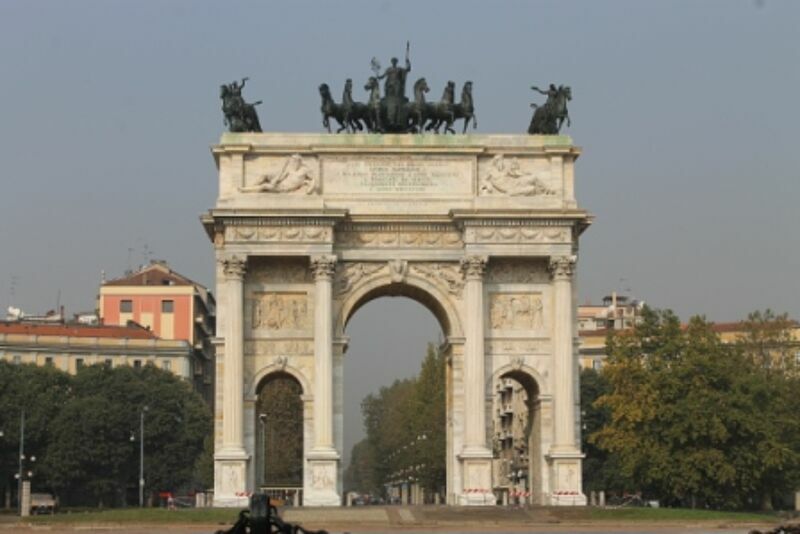 On Wednesday our only appointment – the Sheraton Hotel at the Airport Malpensa – was in the afternoon, so many of the group seized the opportunity to stroll through the old town, do some shopping and sightseeing, or simply relax in the park. In the very modern four star Sheraton Hotel we were firstly given a tour of the hotel, including the restaurant, spa area, meeting facilities and guest rooms. Afterwards the hotel manager himself found time to sit with us in the Club Lounge and answer our questions. Thursday started out with an appointment at the Uni Credit headquarters right in the city centre. We heard presentations about the corporate structure, the current marketing campaign and the sponsorship corporation with the UEFA Champion’s League – as a present, every member of the group got an envelope containing original confetti from the 2010 finals! Afterwards we had the opportunity to talk to the presenters over some drinks and tasty snacks. 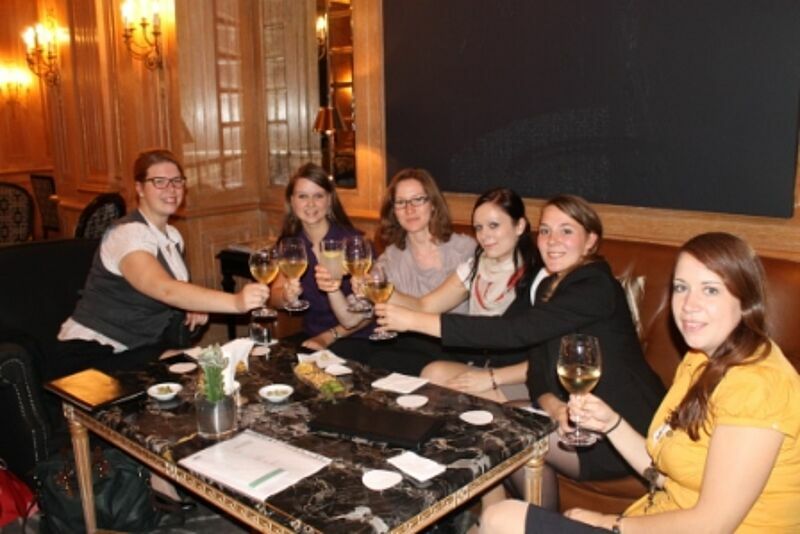 In the afternoon we visited the Westin Palace, a more traditional and very luxurious five star hotel, where we were shown some rooms and public areas and then kindly invited to have a drink on the house in the hotel lobby. On our last evening we had another nice and entertaining dinner together as a whole group after which some of the students went on to finish the evening in an Irish pub around the corner. Friday started very early as we had an appointment at Pirelli at 9am. The address turned out to be further away than anticipated, but after a seemingly endless walk with all our suitcases we finally made it just in time. We were greeted very warmly with coffee, orange juice and biscuits and then guided through an exhibition showing Pirelli’s history. The following presentations gave us a very interesting insight into the company‘s product development and marketing methods. Immediately after the presentations we had to go straight to the airport from where we flew back to cold Berlin in the afternoon. We had an interesting and fun time in Milan and are grateful to have gotten the opportunity to speak to some truly inspiring personalities. A big thank you to all the companies‘ represantatives as well as Ms Wallenburger and Prof. Adjouri for their time and commitment.